that is trying as much as possible, to be accommodating all shades of opinions, especially those hitherto neglected in the ruling All Progressives Congress (APC). The new direction, which is already giving a new definition to Buhari’s politics, is believed to be pointing to one fact; new rapprochement is needed to cross the hurdle of 2019 elections. Before now, the president had carried on as if he didn’t give a damn about the sustenance of the alliance that produced his unprecedented 2015 victory over an incumbent presidency, pushing many of the forces that worked for his emergence out of a power circle dominated by only a few aides who are believed to have assumed more authority than the president himself. The APC was formed in February 2013 through a coalition of the defunct platforms of Action Congress of Nigeria (ACN), Congress for Progressive Change (CPC), All Nigeria Peoples Party (ANPP), a faction of the All Progressives Grand Alliance (APGA) and a group of disgruntled members of the then ruling Peoples Democratic Party (PDP) which included five serving governors and several members of the National Assembly. But hardly had the new party won the presidency in 2016 that the fault lines of the coalition began to show in the failure to consolidate its while the leadership, which had retreated to its pre-merger loyalties, failed to further cement the unity of the platform. Major pillars of the alliance like former Lagos governor, Asiwaju Bola Tinubu, who did a yeoman’s job in the emergence of Buhari as the candidate of the party against formidable opponents like former Vice-President Abubakar Atiku and Senator Rabiu Musa Kwankwanso, were completely sidelined in the emerging power equation forcing the Lagos strongman to resort to the media in voicing out his reservations about a government he assisted to set up. The control of the inner workings of Buhari’s government was completely taken over by a group of aides who in the public space were referred to as ‘the cabal’ that was such a formidable group that it took not less a voice than that of the First Lady, Mrs. Aisha Buhari to draw public attention to the alleged sidelining of those who worked for the success of the Buhari presidency. The First Lady, in a widely circulated statement where she complained about some missteps of the administration, blamed those who were not there during the campaigns but who have taken over total control of the apparatus of government as responsible for the drift in the party and government. In another statement credited to Mrs. Buhari, she was reported to have expressed reservations about her preparedness to enter another campaign train for the party if the needful was not done in bringing those who “actually worked” for the APC on board the government. With a president who seemed to have fallen under the spell of the cabal in marginalizing the foundation team, many highly-placed politicians were not only completely shut out of the system but their influences were being reduced even without minding the negative effect on the political party that provided the platform for government. In the pursuit of this agenda of reducing the influence of certain individuals, notable among whom was Tinubu, the mainstream of APC support base was relegated to the background in Kogi State with the alleged blocking of the late Abubakar Audu’s political group because of its perceived closeness to the Lagos strongman. The same game was played in Ondo as some elements in the presidency and the APC headquarters backed a candidate that was not on the same page with Tinubu with the required funding and logistics to emerge as the governor thereby relaxing the grip of the Lagos politician even within his traditional Southwest stronghold. Earlier, because of the same factor, the leadership balance of the ruling party was disrupted by a conspiracy to thwart the decision of the party to zone principal positions in the National Assembly, causing an Executive/Legislative rift that the government has not gotten over since then. At least in the last two years, Tinubu had written three open letters calling the attention of government and party leadership to issues of public concern and party management including one where he demanded that the national chairman, John Odigie-Oyegun should resign from office. Apart from Tinubu, other chieftains of the party like Atiku and Kwankwaso who contested the party’s presidential ticket with Buhari in 2014 were allegedly pushed outside the circle of influence immediately after the inauguration of the new government. While Kwankwaso who has also lost the grip of the party in his Kano base to his estranged godson and incumbent governor, Umar Ganduje, is rumoured to be planning to defect from the APC to pursue his presidential ambition somewhere else, Atiku had since left for the PDP, a party he helped to form and under which he served as a two-term Vice President. While some leaders were being cut to size, hundreds of ordinary party members who expected patronage from their government were also left in the cold as the President failed to dissolve most of the boards of government agencies and commissions to create room for political appointments and engagements. And rather than reach out to the opposition zones of Southeast and South-South, which voted massively against his election, Buhari, against the norm of democratic tenets and strategic politics, declared that those who contributed only five percent to his victory should not expect the same patronage from his administration as those who contributed 97 percent. This hardliner position and alleged marginalization of the affected zones led to increased political agitations and violent disruptions of the national economy that was not also helped by the presidents strong arm tactics to suppress the confrontations without even looking at some of the issues that could be of importance to national unity and socio-political development. In the last few weeks however, the politician in the general has begun to take over in Buhari who commenced this new rapprochement by a visit to the two Southeastern states of Ebonyi and Anambra where he gave assurance that no part of the nation would be left unattended to by his administration. Although the APC lost Anambra during the November 18 governorship poll, it is believed that Buhari allowed a free and fair exercise to further boost his image as a democrat who would be ready to work with whoever is elected on any political platform. There are indications, particularly after the conduct of the election, that an alliance could be forged between the Anambra governor, Willie Obiano and his APGA with Buhari’s APC in future political engagements. The rapprochement in the Igbo heartland was such that Buhari got commitment of support from Ebonyi governor, Dave Umahi while a couple of other governors in the zone are being rumoured to be already perfecting plans to defect to the APC or at least work for the return of Buhari presidency when the time comes. In fact, it was Umahi, a PDP governor who first flew the kite of the possibility of Buhari seeking reelection by giving a somewhat ambiguous commitment that pointed to his readiness to provide support for the intention whenever the president made it known. 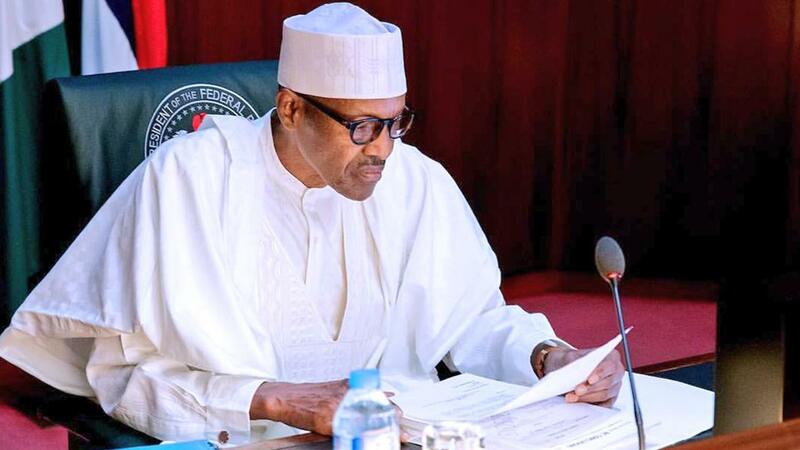 Although Buhari had not made a categorical statement about seeking a second term, two events in the last couple of weeks pointed to the fact that the president may have made up his mind to contest the 2019 elections. And during a state visit to Kano, few days after the Abidjan trip, he told a mammoth crowd that welcomed him and APC leaders who pledged to pay for his nomination form, that he would be relying on them when the time for voting comes. Coming three days before the PDP national convention in Abuja, Buhari’s Kano trip is seen by many analysts as a signal to those eyeing the presidency that the North, as represented by Kano with the highest voting population, is solidly behind the general. While background preparations for a reelection are suspected to be going on, the President has also promised to widen his cabinet by bringing in more ministers and appoint more politicians to fill positions in boards of government agencies, which he also promised to dissolve soon. Although he told the leadership of the APC during its much expected caucus meeting last month that he would be doing that because the economy had exited recession, many observers believed the move is part of the new rapprochement to secure the support of party members. Perhaps the most significant of Buhari’s rapprochement politics played out during the Abidjan trip on which he was accompanied by Tinubu and the duo of governors Udom Emanuel of Akwa Ibom and Mohammed Abubakar of Bauchi. The president’s image handlers gave a substantial space in the traditional and social media to photographs of Buhari and Tinubu sitting together in the presidential plane like two political associates rediscovering each other once again. The images of the viral pictures successfully created the impression that all the talks about marginalization of the Lagos strongman in the public space and insinuations that he might dump Buhari in 2019 were figments of peoples’ imagination. The trip was also excellently timed to coincide with the period Atiku announced his defection to the PDP and against the backdrop of information that Tinubu may be planning to float a regional party that would seek alignment with any other platform as it was done in 2014. The new romance was meant to show that despite Atiku, all was well within the APC. And to further confirm this, Buhari perhaps for the first time publicly, acknowledged that Tinubu as the national leader of the APC, a controversial title that added no constitutional role to the bearer and which was once denounced by some powerful Abuja politicians who said that the party had only one leader in the president. Reciprocating the Buhari gesture, Tinubu while reacting to a news item that he was scheming to replace Vice-President Yemi Osinbajo, said he believe in the ability of the duo to take Nigeria to the promise land. With Tinubu back in the inner circle of power influence in Abuja and with the PDP reclining to its South-South and Southeast stronghold as alleged by some of its leaders after the party’s last convention, it is almost certain that Buhari can still count on Southwest support to repeat the feat of 2015. Already, Tinubu is believed to be strengthening the zone for Buhari while the hitherto anti-Tinubu elements both at the presidency and the Southwest appear to be singing a new tune for the Lagos strongman.